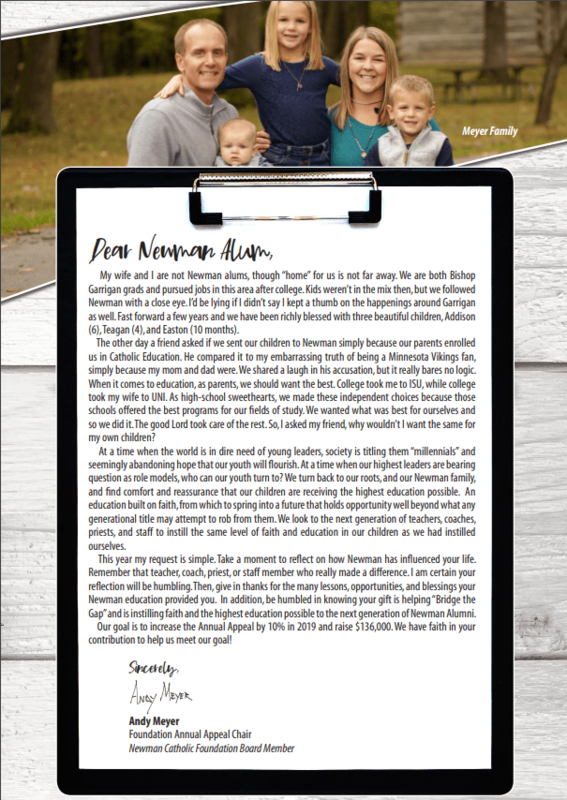 The Newman Catholic Schools’ Annual Appeal is a yearly fundraising program administered by the Foundation Office. The goal for each year’s Annual Appeal is based upon the need determined by the Board of Education’s operating budget. The need from the Foundation Office for the 2017 – 2018 school year is $395,00. Dollars raised in the Annual Appeal are used to address the school’s operating costs. In recent years, funds have also helped fun new technology, books for the classroom, Catholic Identity programs and continuing education for faculty. There are many reasons for the need for your support of the Annual Appeal. Annual Foundation fundraisers provide dollars needed for the school’s operating budget, typically amounting 11.6% of the school’s operating budget. Parish Subsidies make up 46% of the school’s operating budget. By serving as one piece of the “budgetary puzzle”, fundraising programs effectively reduce a Newman Catholic education by $406 per student! 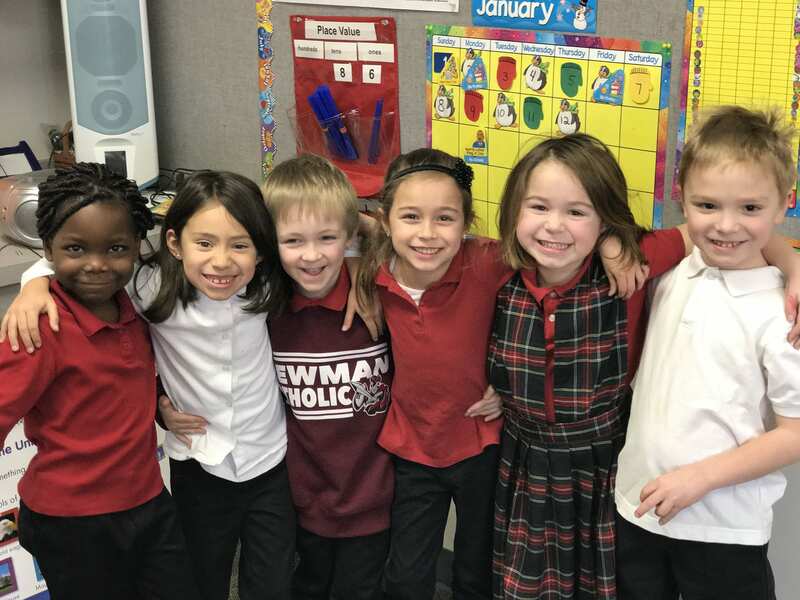 Foundation fundraising efforts, with the help of Parish Subsidies, play an important role in minimizing the increase of tuition, and allowing the tuition that our nearly 300 families pay to remain half of the $5,277 it actually costs to educate a child at Newman Catholic Schools. You can contribute in one payment, or you may offer a pledge and fulfill that pledge in several payments. You can double your contribution – at no cost to you! If your employer is a matching gifts company we can help you submit your employers matching gifts program form. You can give online at our website, click on Donate on the website and choose which option works best for you. Simply click the button below to be taken to Paypal’s secure site to make your donation!